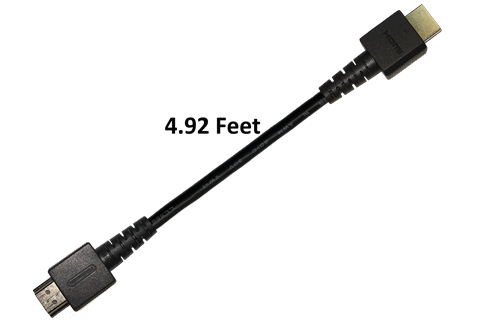 This is a replacement for the HDMI Cable that was included with each Nintendo Switch™, Nintendo Entertainment System™: NES Classic Edition, and Super Nintendo Entertainment System™: Super NES Classic Edition. It is used to connect the console to your television's HDMI input slot. The HDMI Cable is 4.92 feet long.